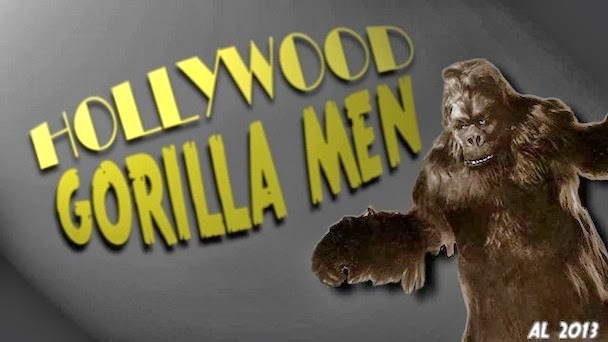 Hollywood Gorilla Men: Hairy Horrorthon Halloween Countdown!...# 7...The Ape ! Hairy Horrorthon Halloween Countdown!...# 7...The Ape ! Here we go into the fray yet again, as we continue the count down the Halloween ! 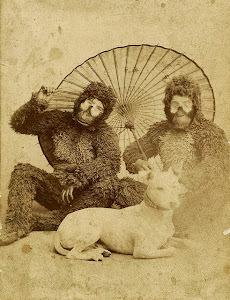 What's creepier than a killer gorilla prowling for hapless victims? 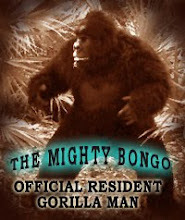 A gorilla who's out to use you for mad scientific experimentation, that's what ! 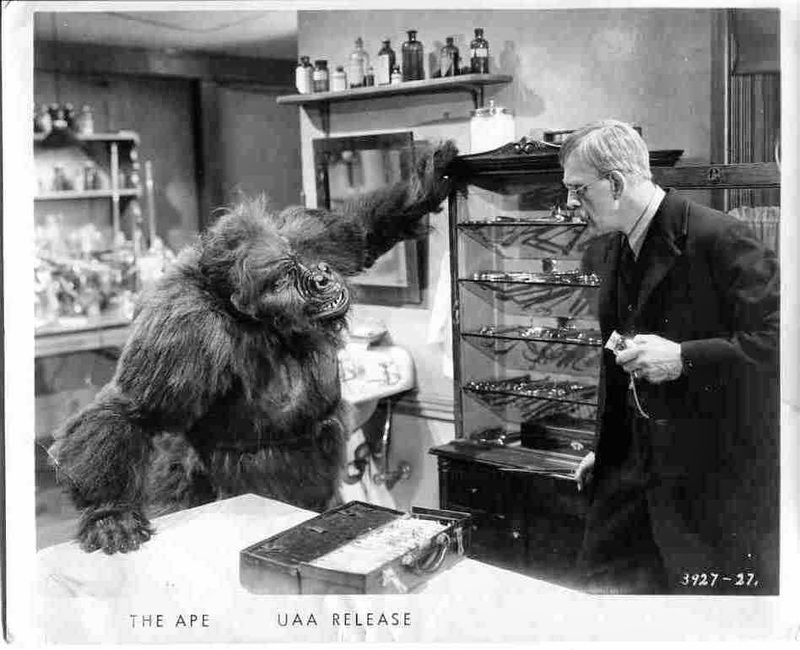 So pull up your pumpkin, and we'll tell the tale of Monogram Pictures" The Ape", starring horror legend, Boris Karloff. Karloff stars as ,Doctor Adrian, a lonely country doctor, who is on a guilt ridden search to find the cure polio, the disease that claimed his wife and daughter years earlier. damned and determined not to let the disease take another innocent life. the key to the cure, he hypothesises, is the introduction of human spinal fluid into the spine of the patient. 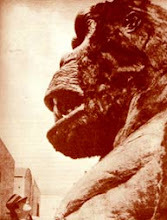 One of the exhibits is a huge gorilla,( The great, Ray Corrigan). 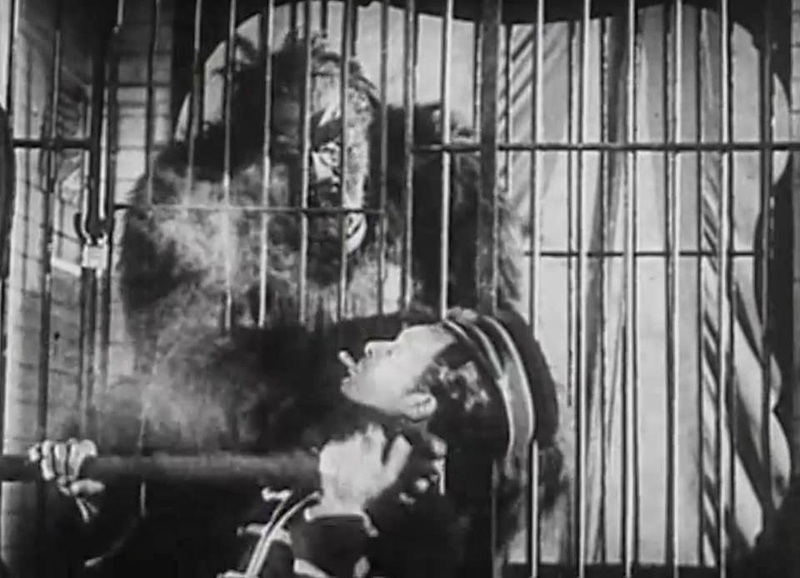 The circus folk find the mangled body of the trainer, still somehow alive, and take him to kindly, old Doc Adrian (Karloff) to try to save him. This was necessary as Karloff could barely stand in the heavy costume, much less move in it. But at any rate, I like this little film, because it truly shows old Boris giving a heck of a performance as the painfully conflicted Dr. having to kill, to save lives....Not many new TRICKS, but a very cool TREAT !